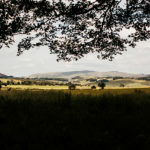 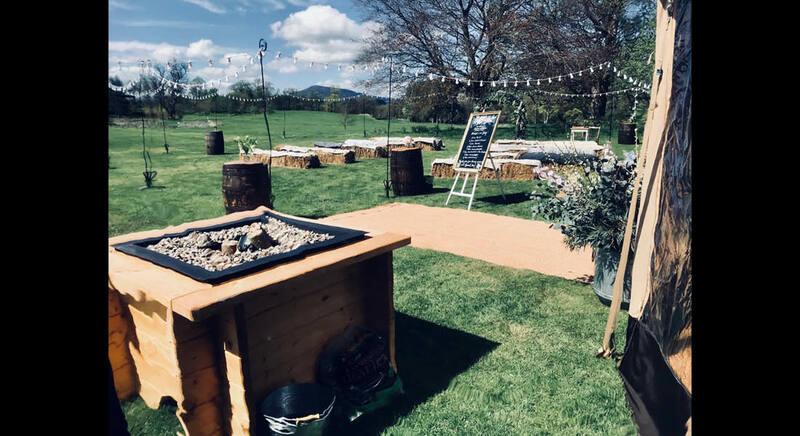 As another wedding season begins, the sense of magic at Hartree is once again palpable. 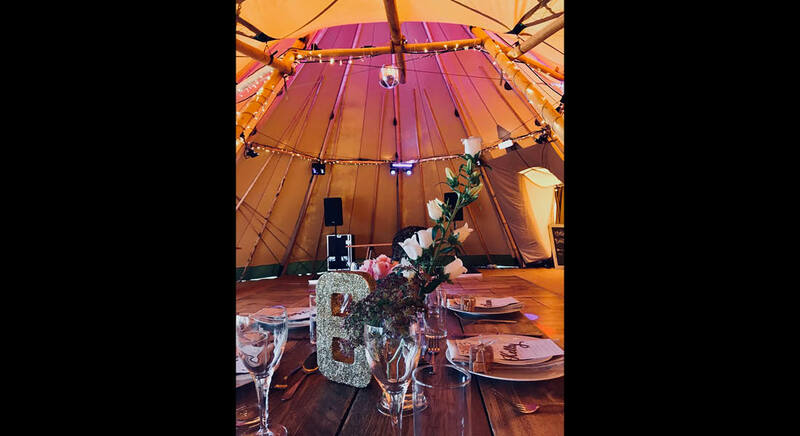 On 12th May, 2018, Lisa and Darren joined us for their dream wedding. 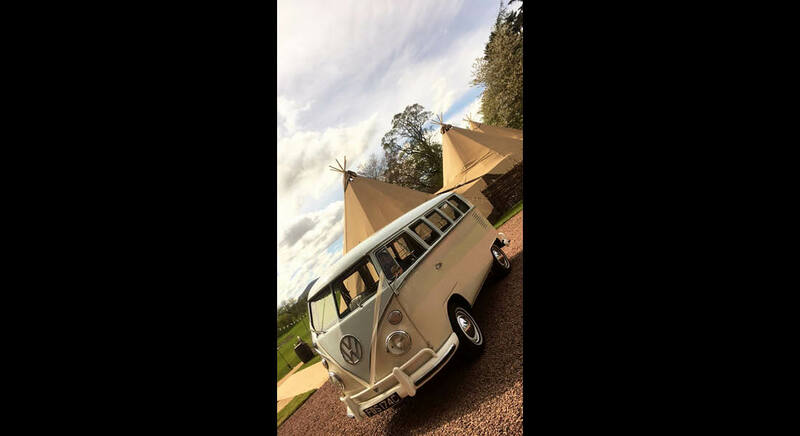 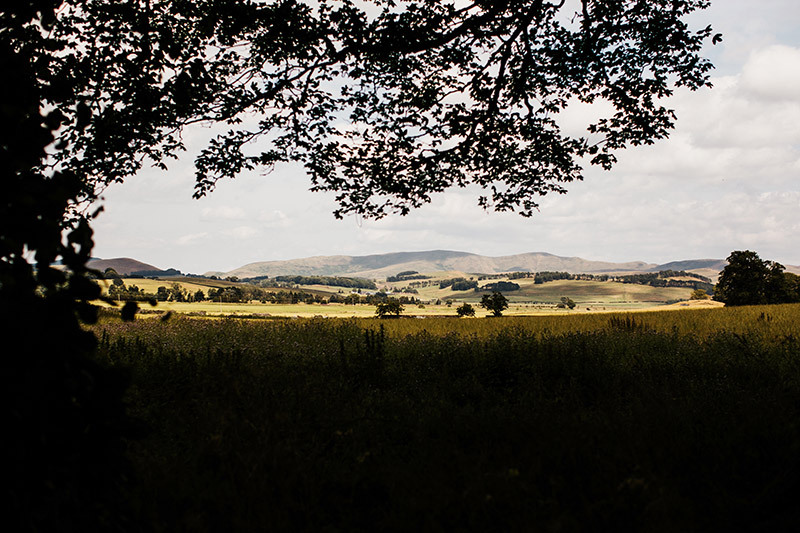 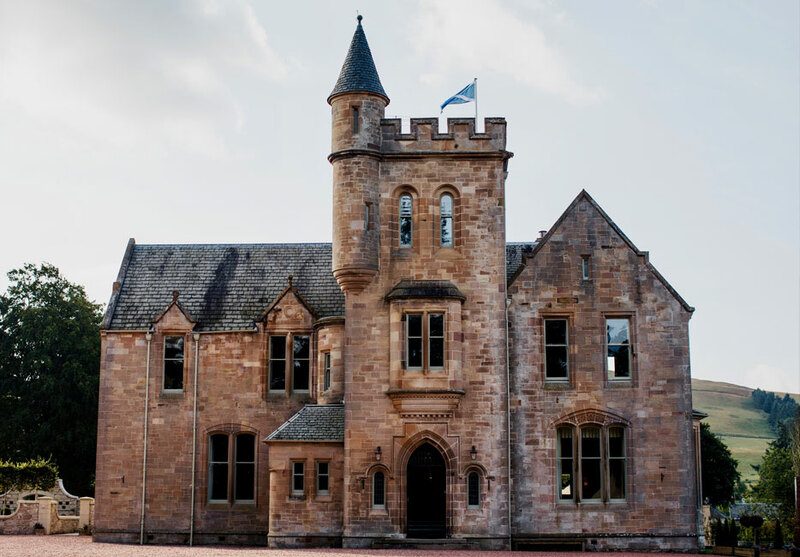 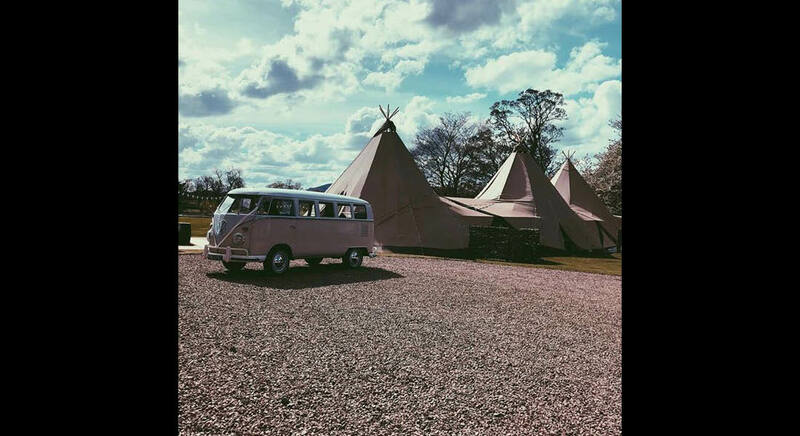 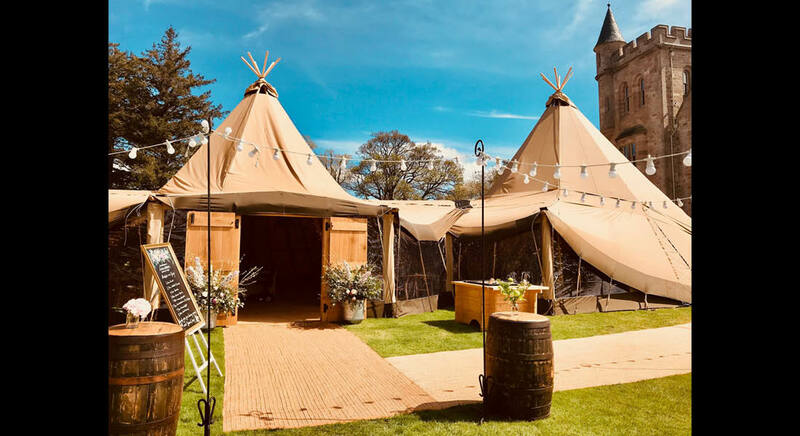 With the tipis positioned in front of the beautiful Hartree House, providing a stunning outlook over the estate, the day was set to be a special one. 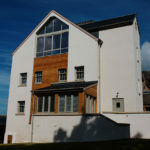 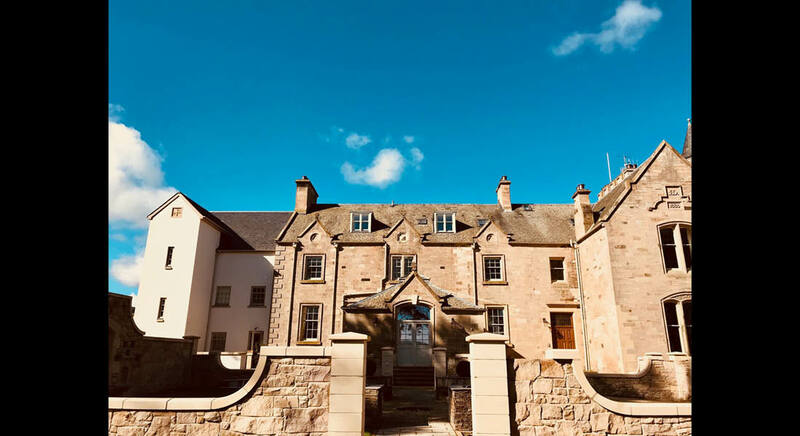 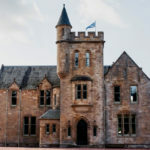 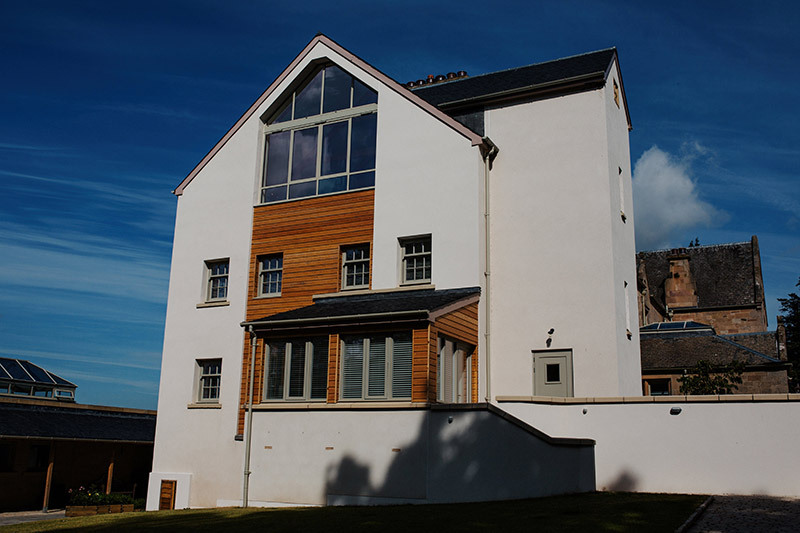 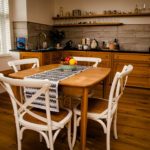 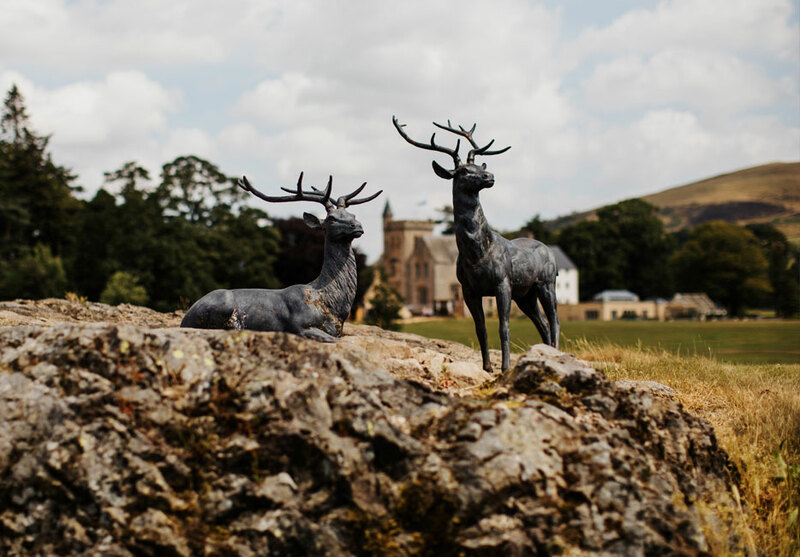 The groom and his groomsmen stayed in the White House accommodation the evening before, whilst the bride-to-be stayed in the Lodge House with her bridesmaids, ready for the exciting day ahead. 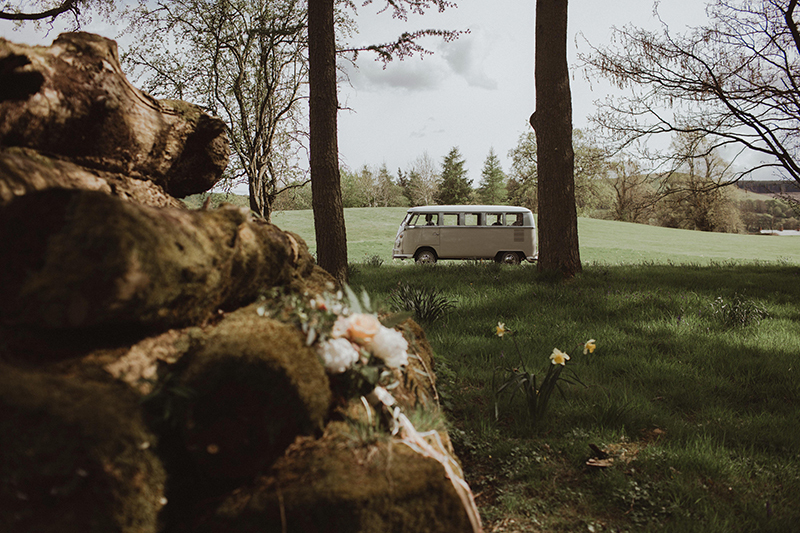 After enjoying a morning of hair and makeup, Lisa was chauffeured up the driveway in a beautiful vintage VW camper van, joining her groom, Darren, for an outside ceremony. 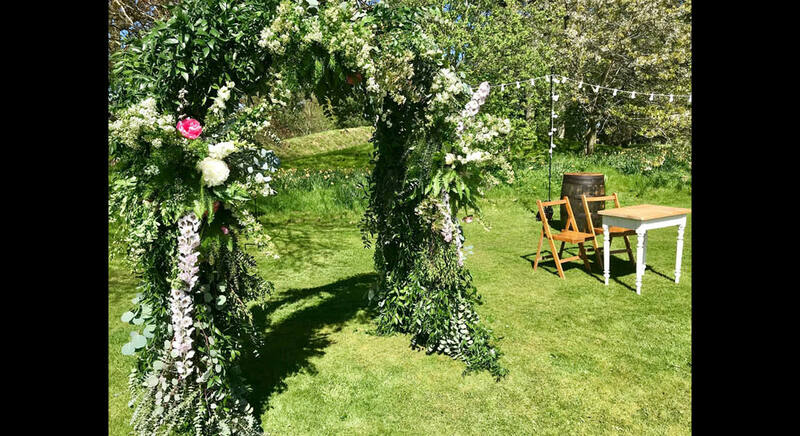 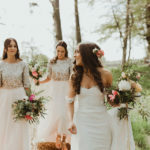 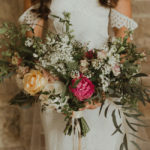 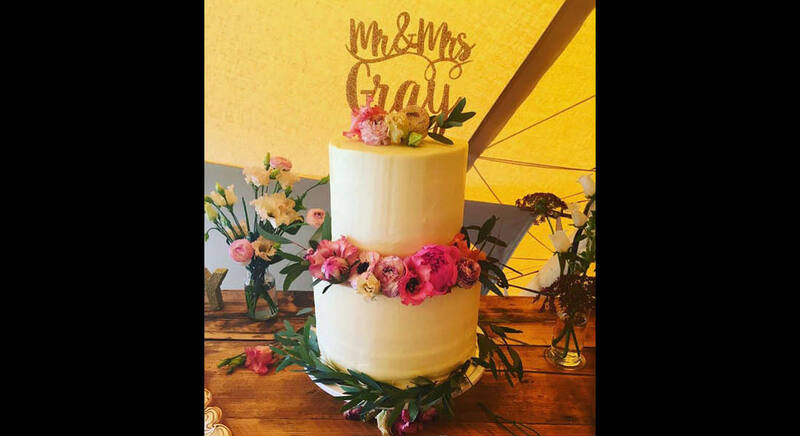 The couple made their promises to one another under a flower arch, surrounded by friends and family who were seated on hay bales, enjoying the spring sunshine. 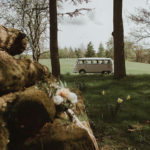 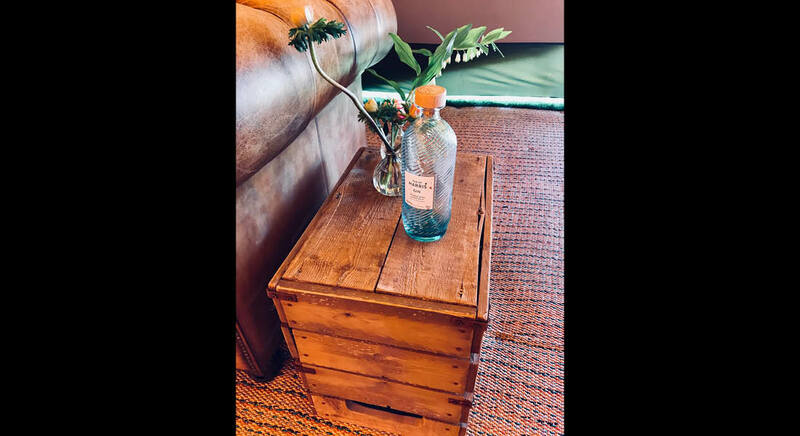 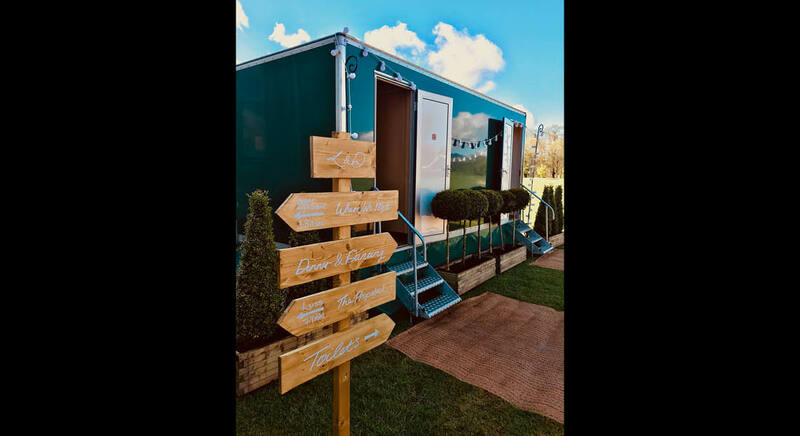 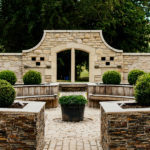 With cocktails and an array of specialist Gins, the reception saw guests relaxing and enjoying one another’s company whilst the couple had a stunning photography session and a documentary-style video shoot in the Hartree woodland, amongst beautiful May time blossom, bluebells and dappled sunshine. 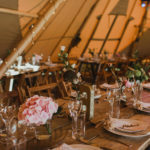 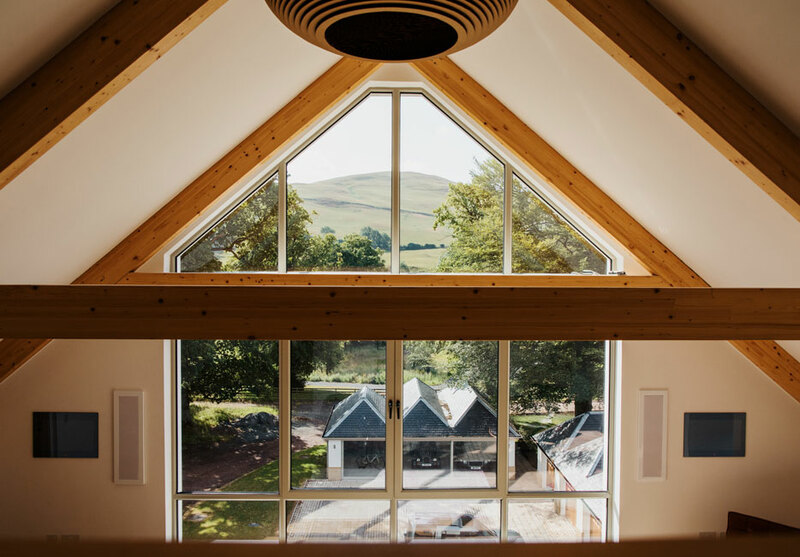 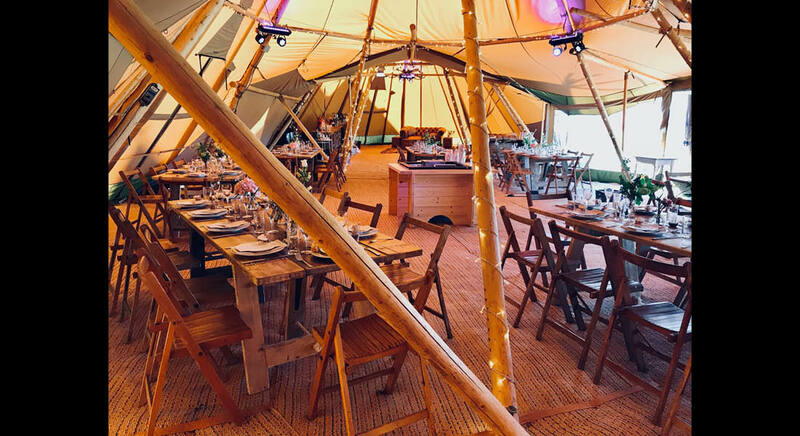 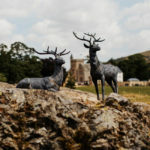 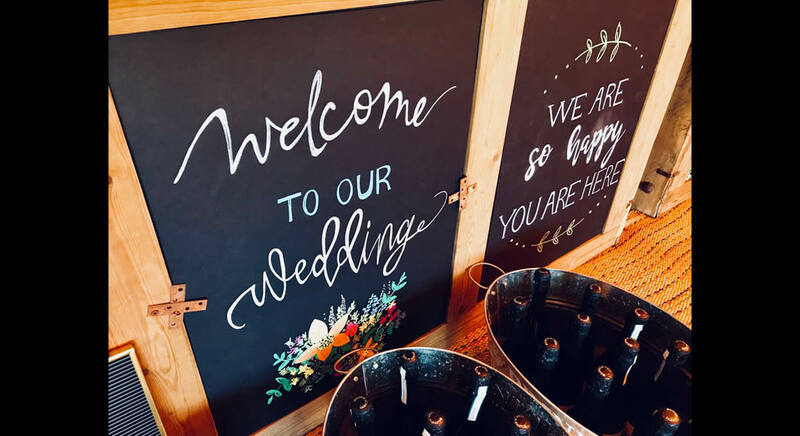 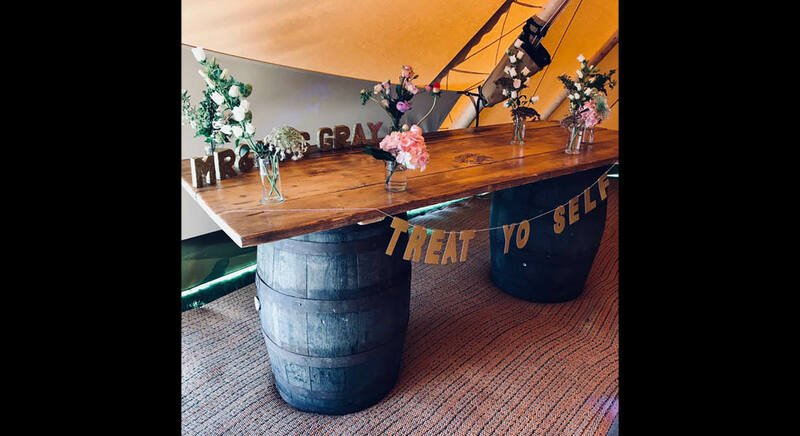 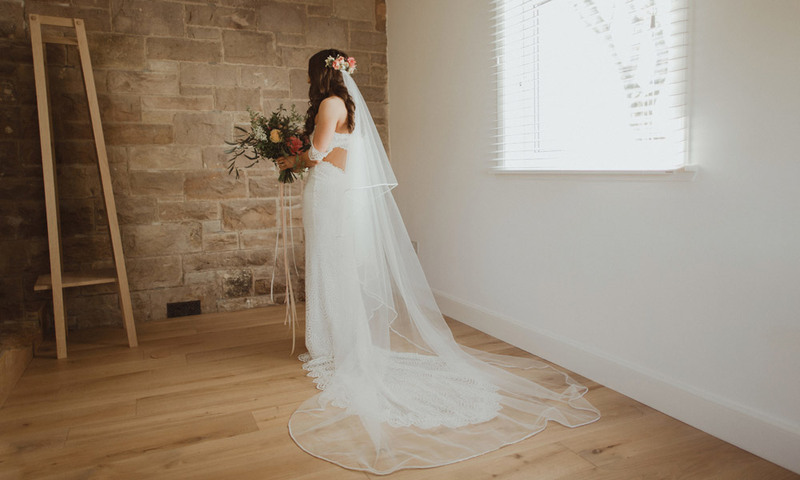 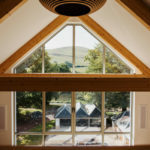 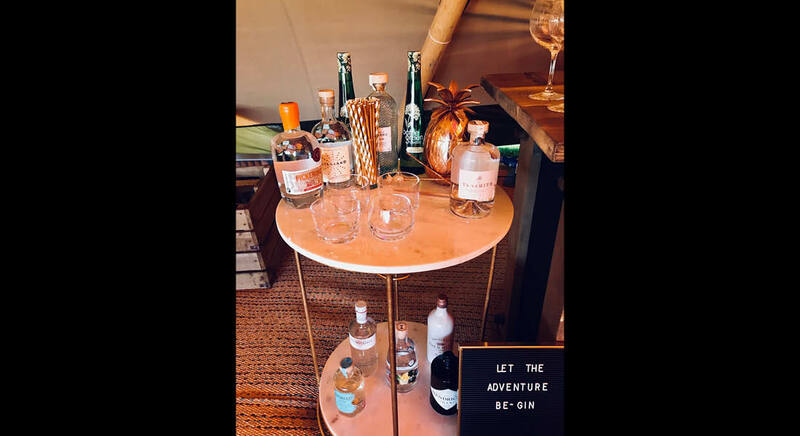 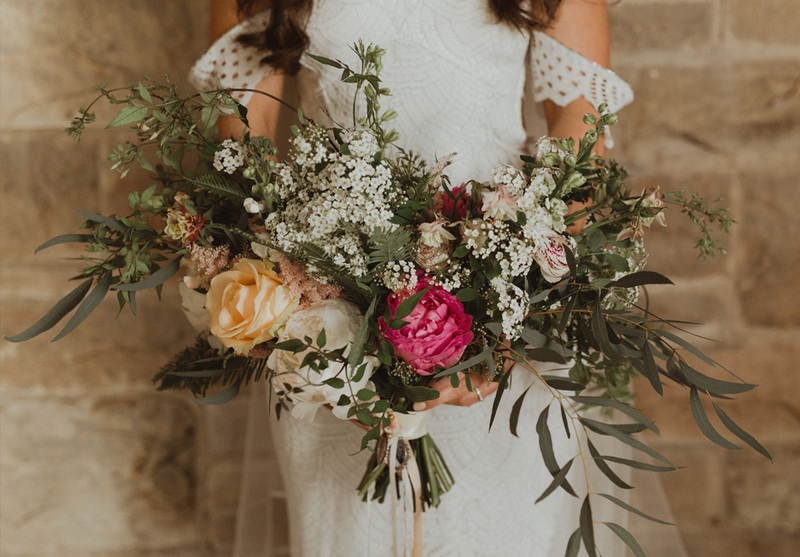 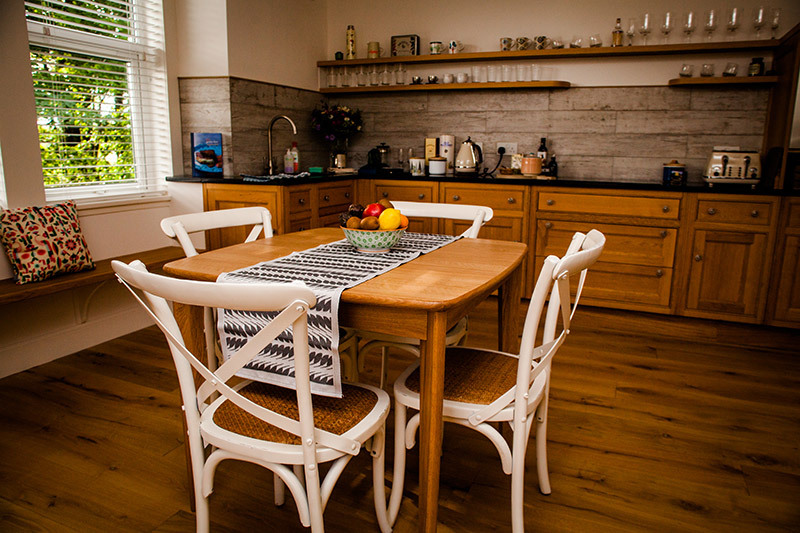 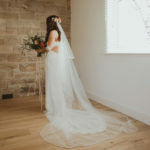 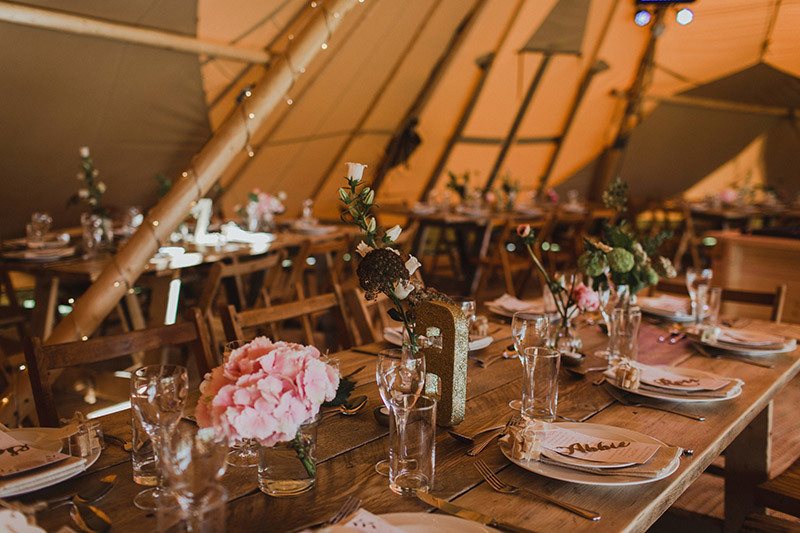 The day then proceeded inside the tipis, to the spectacular dining space, with the couple and their guests taking their seats for an evening of food, drinks, speeches and toasts, with every attention to detail taken care of by the Hartree team. 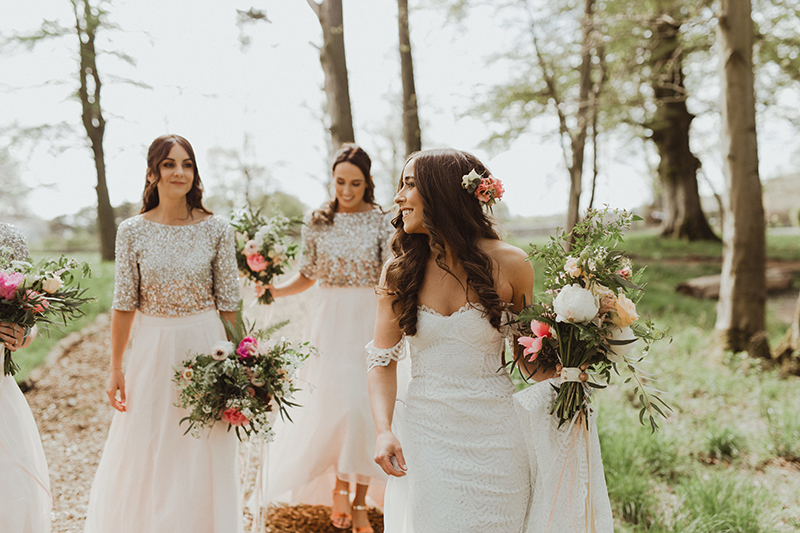 With the sun setting over the estate, everyone celebrated the day with a sparkler send-off, and guests gathered around to photograph the cutting of the cake and the first dance, before enjoying an evening of music and dancing well after sundown. 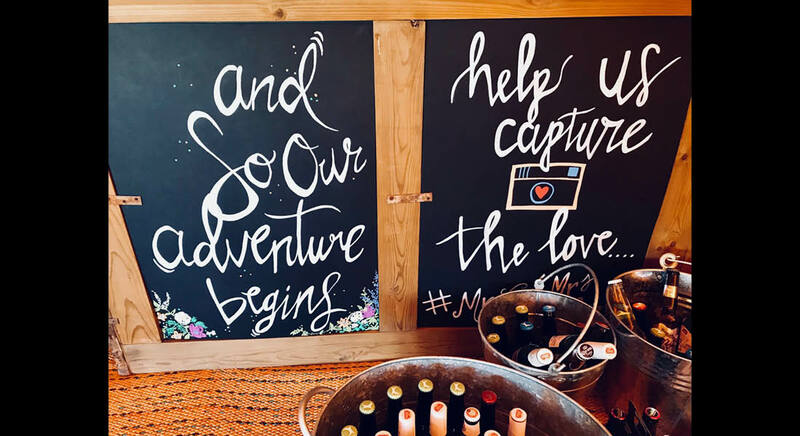 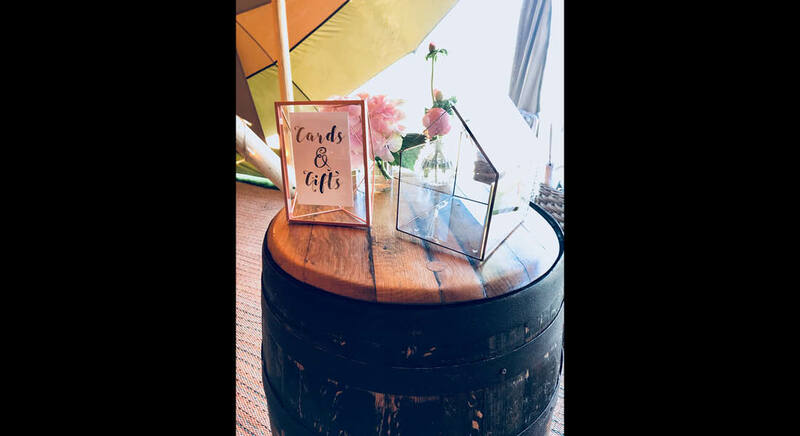 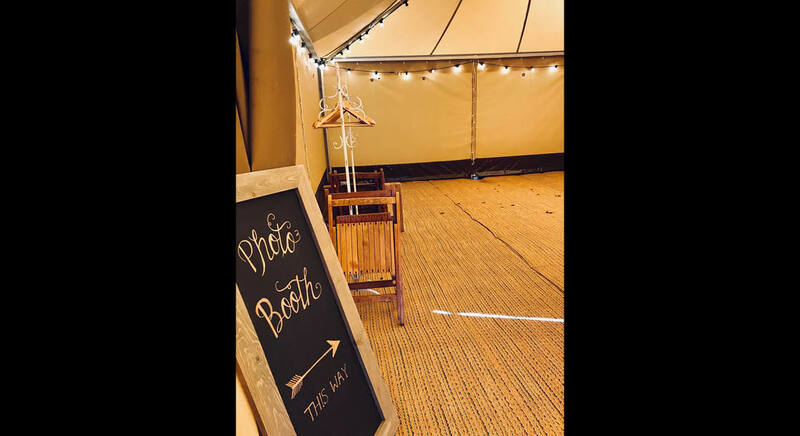 Guests also greatly enjoyed the photobooth which provided much entertainment and created many lasting memories for all involved. 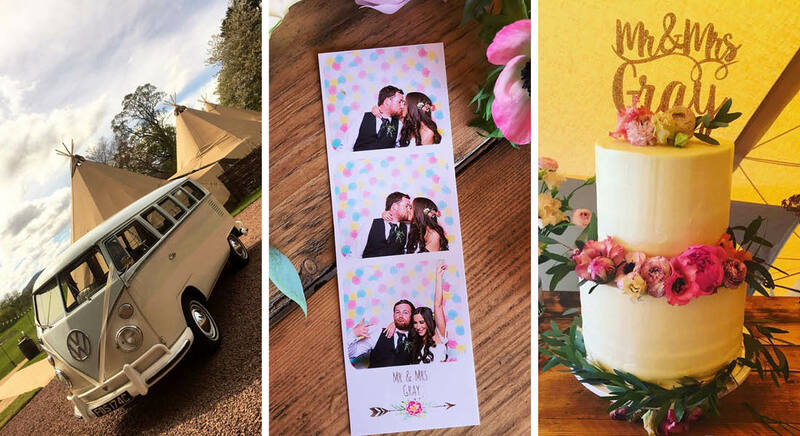 This was an amazingly special and memorable occasion, filled with happiness, love and lots of laughter. 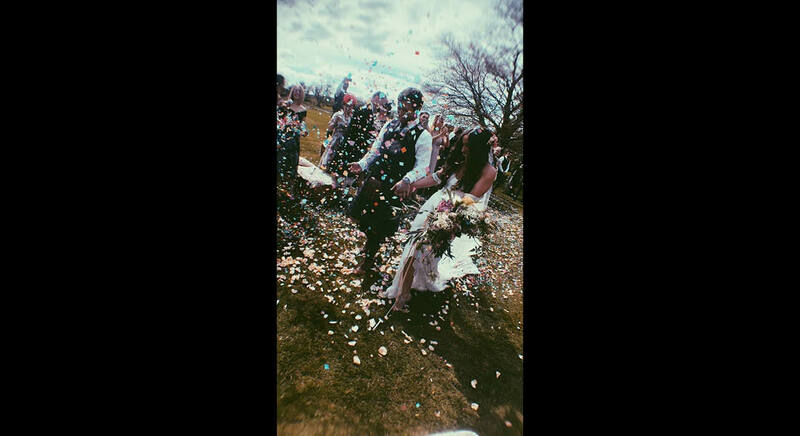 Congratulations, Lisa and Darren – and thank you for sharing your special day with us!